One of the most striking properties of graphene is the relativistic-like Dirac-Cone spectrum of charge carriers. By applying high-frequency laser fields, the system can be described with the use of similar spectrum which is based on a concept of electron quasi-energy. There in this spectrum a creation and annihilation of new Dirac points and cones as well as opening a gap may arise. 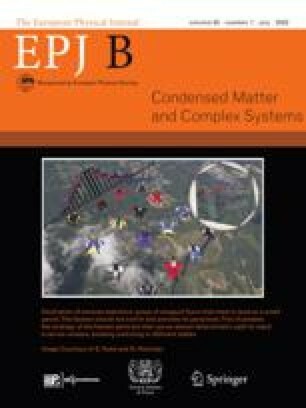 This allows controlling electron motion without applying DC periodic fields which are effectively described by graphene superlattices. 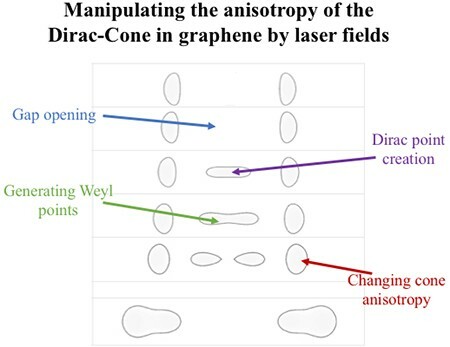 Here we demonstrate that coherent electromagnetic fields applied to graphene can generate new Dirac and Weyl points, induce Lifshitz quantum phase transition for slightly doped graphene and produce an anisotropy of the Dirac cones, which can be even infinite.